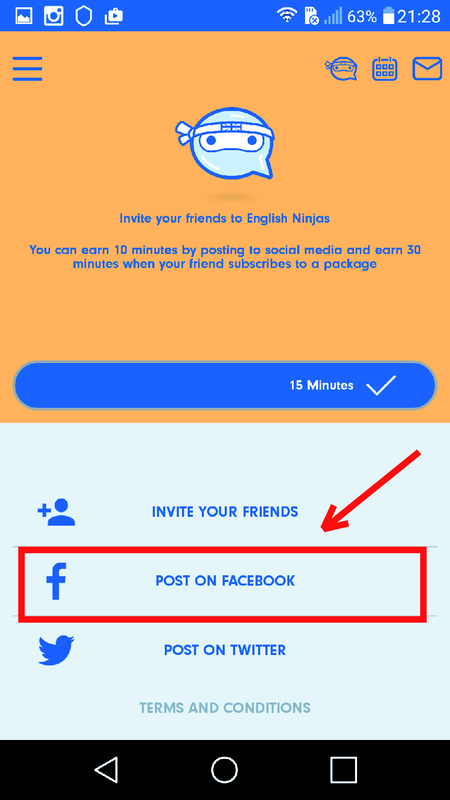 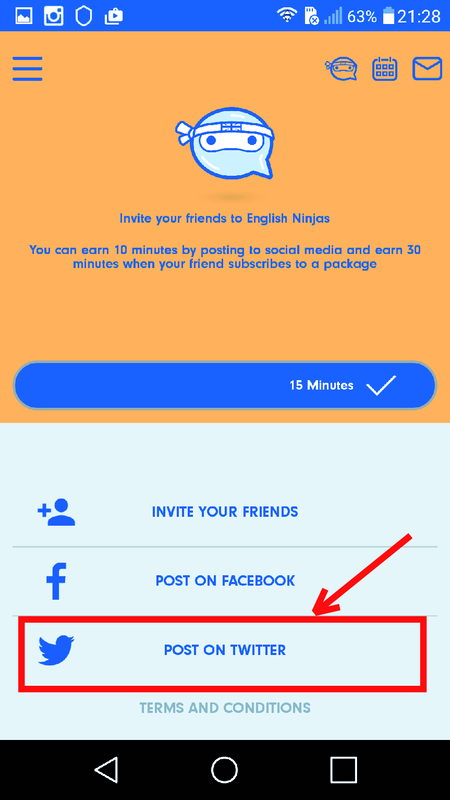 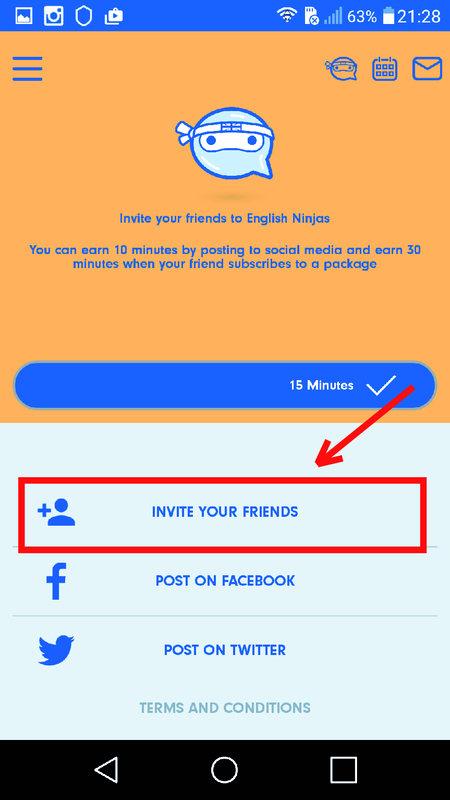 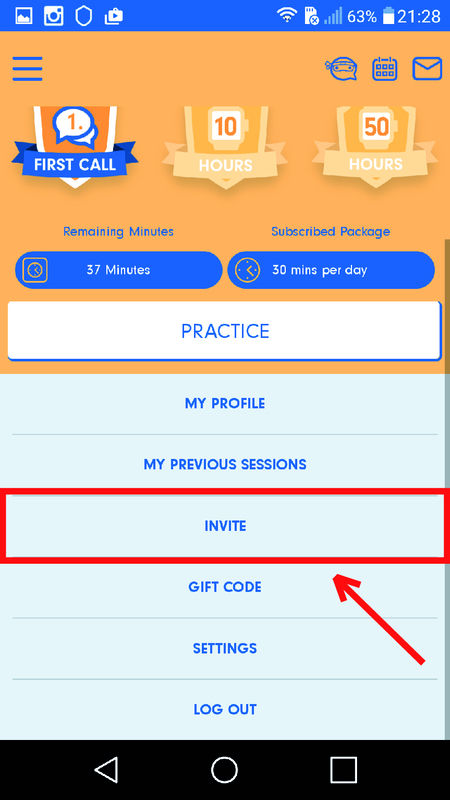 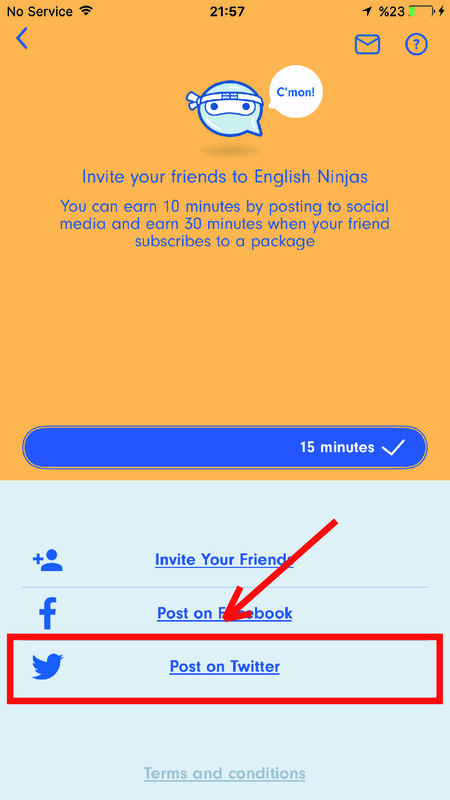 Mobile - How can I earn complimentary minutes on English Ninjas? 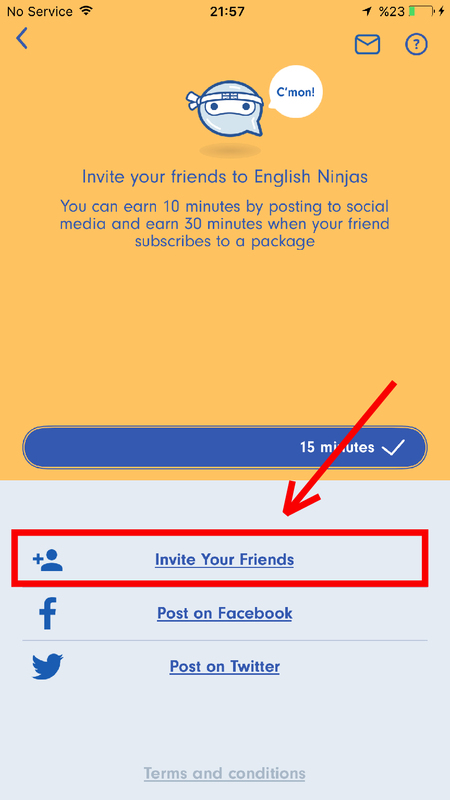 You can easily earn complimentary minutes on English Ninjas. 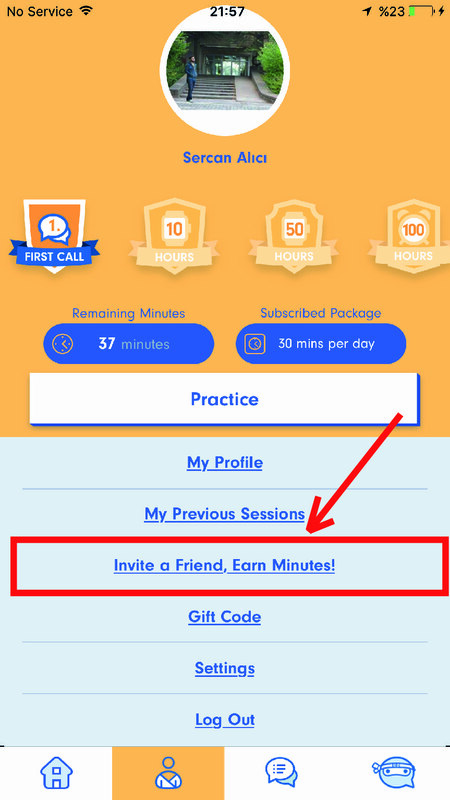 Here is a list of things you can do to get more free minutes. 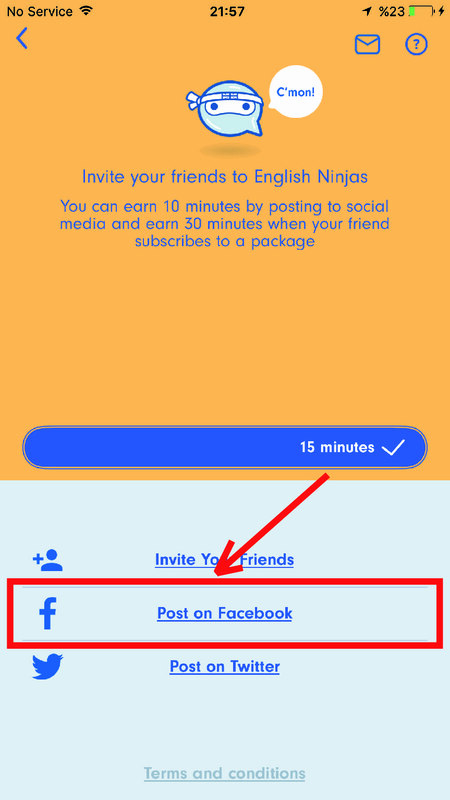 4) Share on Facebook by clicking on "Post on Facebook"
5) Share on Twitter by clicking on "Post on Twitter"